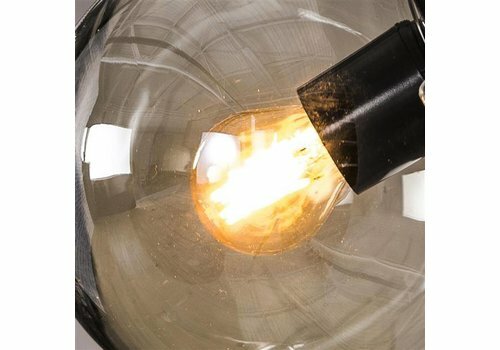 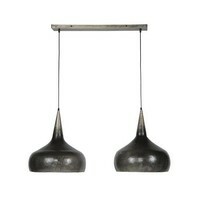 This Gareth 2-light hanging lamp is made of metal with an old silver finish. 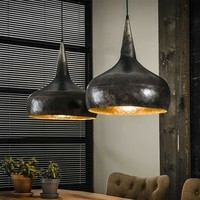 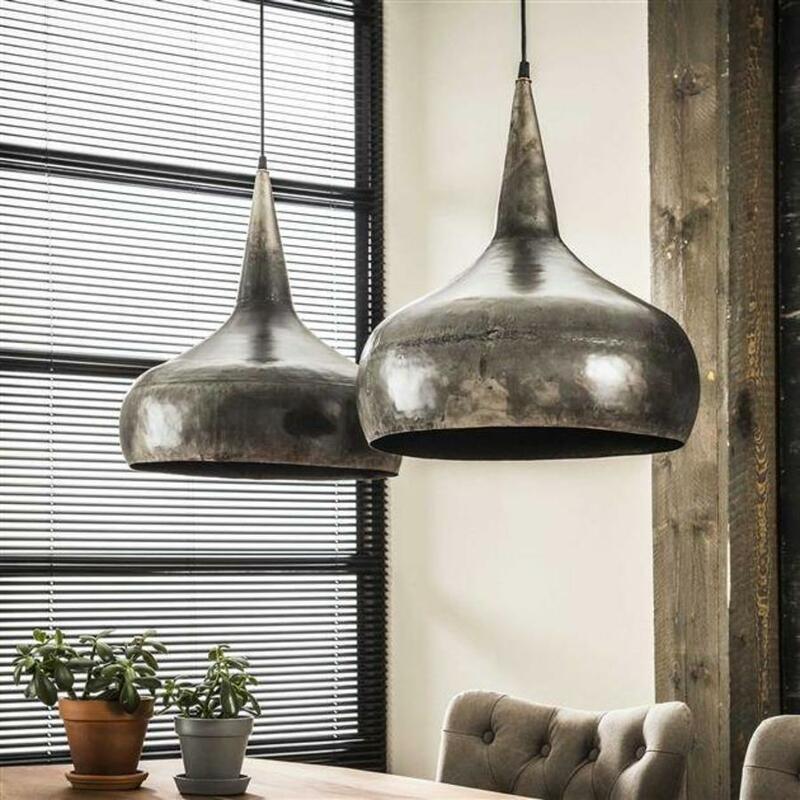 The funnel-shaped caps have a slightly uneven surface, which gives the lamp a tough appearance. 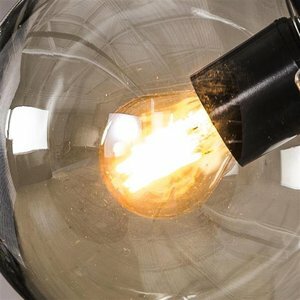 This Gareth 2-light ceiling light is made of metal with an old silver finish. The funnel-shaped caps have a slightly uneven surface, which gives the lamp a tough appearance. 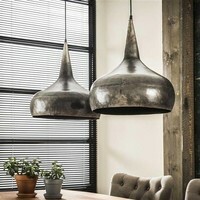 The hanging lamp has one ceiling attachment, which is also finished in old silver.